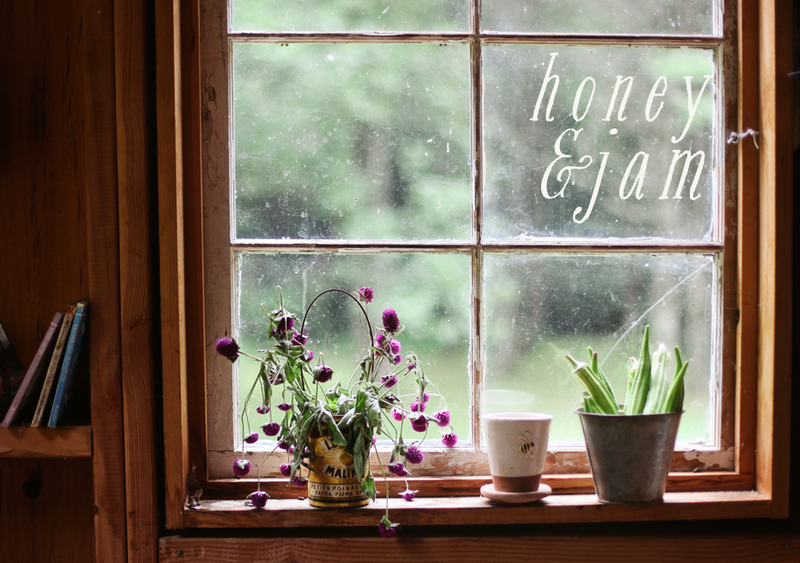 honey & jam | recipes + photos: Apple Cheddar Scones. For as long as I can remember, my mom has sworn to me that apple pie tastes amazing with a piece of cheddar cheese melted over top. After making these scones, I’m inclined to believe her. When you first bite into these, it’s like a flavor explosion. The dough is slightly sweet from the cider, and the cheese is nice and melty. There are a lot of textures going on, but it’s not overwhelming. The cornmeal gives the dough a great texture, and it’s so moist and fluffy. 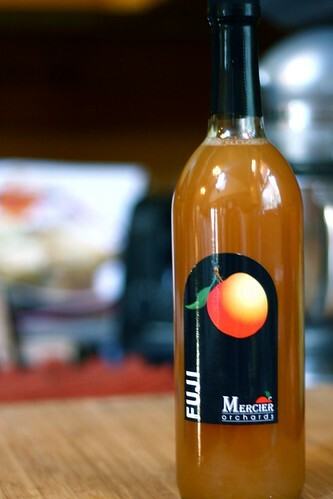 I used this great local cider. It’s so delicious. I’m sure apple juice would be good too, but I think the cider really added something extra. Getting reading: Center a rack in the oven and preheat the oven to 400 degrees F. Line a baking sheet with parchment or a silicone mat. Whisk the flour, cornmeal, sugar, baking powder, baking soda and salt together in a large bowl. Drop in the butter and, using your fingers, toss to coat the pieces of butter with flour. Quickly, working with your fingertips or a pastry blender, cut and rub the butter into the dry ingredients until the mixture is pebbly. You’ll have pea-size pieces, pieces the size of oatmeal flakes and pieces the size of everything in between - and that’s just right. Pour the liquid ingredients over the dry ingredients and stir with a fork just until the dough, which will be very wet and sticky, comes together. If there are still some dry ingredients in the bottom of the bowl, stir them in, but try not to overdo the mixing. Stir in the grated cheese and dried apple. 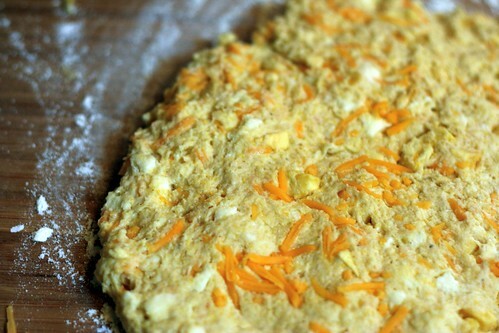 Bake the scones for 20 to 22 minutes, or until their tops are golden and firmish. Transfer them to a rack and cool for 10 minutes before serving, or wait for the scones to cool to room temperature. some notes: These were done in about 15 minutes for me, and were quite overdone on the bottom, I might try using an insulated cookie sheet next time. 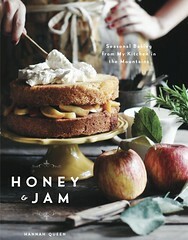 i was looking at that recipe yesterday...i love apple slices with cheddar, yum! I was totally suprised when I made this recipe with TWD. Those scones looks beautiful. 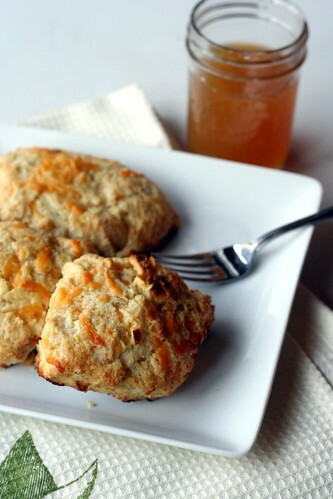 These scones have been around the blog block and yet I haven't tried them. I need to get on top of that! Apples and cheddar seem like a good combination. 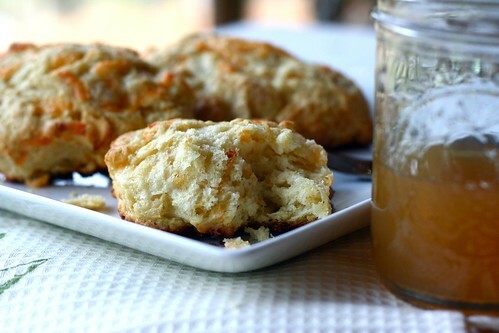 These scones are amazing, the first time I made them I devoured them in record time. Beautiful photos! These look so yummy. I love that the recipe includes cornmeal, too. Just printing out the recipe to go and try it right now! Thanks for sharing. Your blog was recommended to me by a friend a few days ago and I linked you up in my "newly-found inspiration" last night. Love your photos and your recipes. My grandma eats her apple pie with cheese too! I once made apple cupcakes with cheddar! :D These scones look delicious! I love the combination of cheddar and apple... when I was younger, I thought it was weird. Of course, that was because I had never actually tried it. My dad has always eaten apple pie with a slice of sharp cheddar cheese melted on top. He would love these scones! Your photos are beautiful! Can't say I've had apple pie with cheddar cheese before but I am a huge scone fan so these are on my 'to bake' list this coming weekend. We are coming into our autumn now and the chill is starting to set in so these will be a comfort. Love your blog, girl. I totally eat apple slices w/ cheddar cheese all of the time!!! I love it. This is a must try recipe for me! Thanks! You understand shape, light, color, and texture so well. I am in awe.